The Fundraising People’s field staff, who engage with the public to acquire new supporters, needed faster access to applications and the ability to conduct secure transactions on their mobile devices. Working with the Carrington Associates, TFP replaced its legacy mobility management solution with a more comprehensive and affordable cloud-based platform from IBM that strengthens staff productivity and mobile security while providing mobile field staff faster access to corporate apps and data. 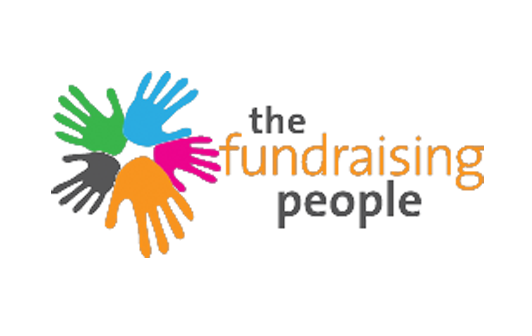 The Fundraising People (TFP) specialises in developing face-to-face fundraising campaigns on behalf of leading Not for Profits. Field staff engage with members of the public to secure supporters for their Charity Partners, using mobile devices to access TFP applications, and carry out secure transactions. However, the company’s legacy mobile management solution didn’t provide all the capabilities the organisation needed. With a high number of temporary field staff using mobile devices, IT staff wanted the ability to track where the fundraisers were at any point in time and who had used a device last, and they needed to remotely disable the device in case of theft or loss. Additionally, staff found that login and authentication via its legacy mobility management solutions could take up to seven minutes—which created challenges while staff was in the field speaking with donors. Working with IBM Business Partner, Carrington Associates, TFP replaced its legacy solution with a comprehensive, secure, and cloud-based enterprise mobility management platform from IBM that provides complete mobility management and comprehensive security of mobile devices, applications, documents, emails, and access to the web from a single portal. “Carrington Associates provided us with the information we needed at every step of our evaluation,” says Rich Mullens, Operations Manager, The Fundraising People. With IBM® MaaS360®, TFP IT staff gained greater control and visibility across its mobile devices so they could track device location, remotely disable devices and wipe key business data in the event of device theft or lose, provide secure access to corporate data, including email, calendar, contacts and corporate applications, and streamline logins. Today, TFP field staff can login in just seconds—much faster than before and a critical capability when field staff are trying to quickly capture a donation from a prospect. Additionally, the solution has helped streamline and automate many mobility management tasks, improving IT staff productivity. For any small and medium sized business, costs are always a concern. TFP IT staff were pleased to find that they could gain all the capabilities they needed in a very affordable solution. “With IBM’s enterprise mobility management platform, we gained a reliable and affordable cloud-based solution to help us protect mobile devices and empower our field staff,” says Mullens. The Fundraising People (TFP) helps Not for Profit organisations better engage with supports and acquire new donors. With staff across Australia and New Zealand, The Fundraising People works with charities to deliver high quality face-to-face campaigns that builds their support base and increases fundraising income. © Copyright IBM Corporation 2016. IBM Security, Route 100, Somers, NY 10589. Produced in the United States of America, December 2016. IBM, the IBM logo, ibm.com, and MaaS360 are trademarks of International Business Machines Corp., registered in many jurisdictions worldwide. Other product and service names might be trademarks of IBM or other companies. A current list of IBM trademarks is available on the web at “Copyright and trademark information” at ibm.com/legal/copytrade.shtml. This document is current as of the initial date of publication and may be changed by IBM at any time. Not all offerings are available in every country in which IBM operates. The performance data and client examples cited are presented for illustrative purposes only. Actual performance results may vary depending on specific configurations and operating conditions. THE INFORMATION IN THIS DOCUMENT IS PROVIDED “AS IS” WITHOUT ANY WARRANTY, EXPRESS OR IMPLIED, INCLUDING WITHOUT ANY WARRANTIES OF MERCHANTABILITY, FITNESS FOR A PARTICULAR PURPOSE AND ANY WARRANTY OR CONDITION OF NON-INFRINGEMENT. IBM products are warranted according to the terms and conditions of the agreements under which they are provided. The client is responsible for ensuring compliance with laws and regulations applicable to it. IBM does not provide legal advice or represent or warrant that its services or products will ensure that the client is in compliance with any law or regulation.